Everyone's favorite RedNek, Hubert Rowland (@NitroRedNekHubert), is the guy who builds the tracks for some of your favorite motor stunts. As track builder and mechanic for Travis Pastrana, Rowland is an integral part of the Nitro Circus team, and his track-engineering expertise has been used in Supercross, Monster Jam, X Games and more. 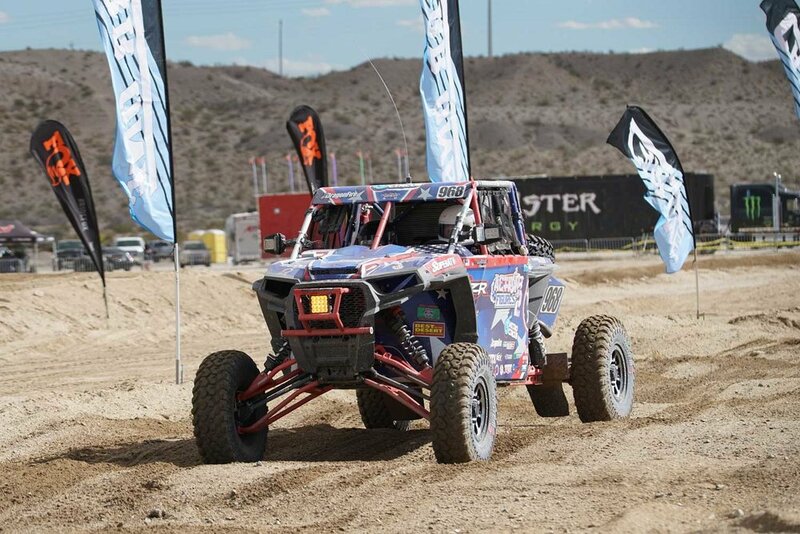 Rowland and RedNek Racing recently competed in the UTV World Championships in Laughlin, Nev., and the team chose System 3 tires and wheels for its Polaris RZR Turbo race vehicle. But they didn't just fly in and race and pristinely prepped machine. No, Rowland drove the turbo 1K to the event from Arizona - off-road of course - and raced the same rig. These RedNeks are serious. They're also great people. Rowland teamed up with Warfighter Made (WFM), a California-based charity that provides recreational therapy to ill, injured and combat wounded veterans. Rowland invites WFM vets to participate in adventures like this one. We're happy to be connected with people like that. Learn more about Hubert Rowland and his UTV adventures on his Hubert Trax website.